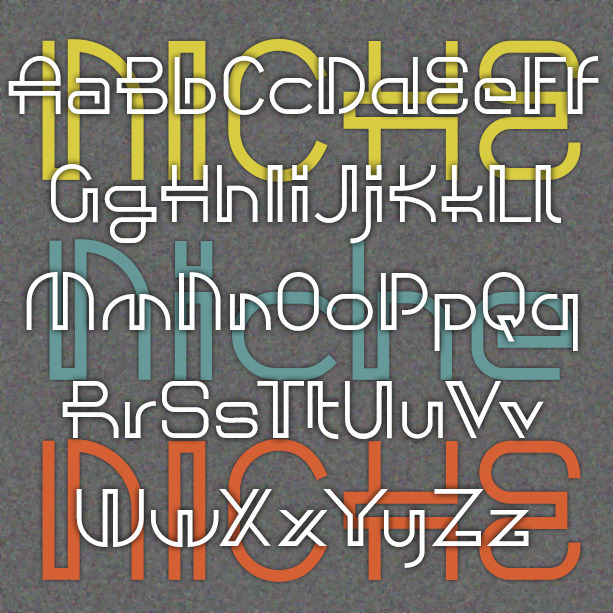 Niche is a unique font with roots in mid-century modern. “Futuristic” with a geometric bent-wire style, Niche finds its place in special projects. Niche was inspired by an example in a book from 1954, “made with a ballpoint pen.” I’ve added lowercase, reimagined the numbers and given it all a crisp, Moderne finish.